medical techniques in the world. Acupuncture, is one of the oldest, most commonly used medical techniques in the world, originating in China more than 3,000 years ago. Over 2,000 acupuncture points on the human body connect with 14 major pathways, called meridians. Chinese medicine practitioners believe these meridians conduct qi, or energy, between the surface of the body and internal organs. It is qi that regulates spiritual, emotional, mental and physical balance. When the flow of qi is disrupted, through poor health habits or other circumstances, pain and/or disease can result. Acupuncture acts to keep the normal flow of this energy unblocked. The intent of acupuncture is to stimulate the body, release energy blocks, and reestablish normal equilibrium, thereby facilitating the body’s natural ability to heal itself. In the last 40 years, Chinese and Western studies have suggested that the insertion of needles at acupuncture points helps release some chemical neurotransmitters in the body, including endorphins. Endorphins are the body’s own extremely powerful, natural painkillers which relieve pain and bring about a sense of well being. Acupuncture involves the insertion of hair-thin, disposable metal needles through the skin in points on the body’s meridians. Acupuncture needles are solid, usually made of stainless steel, and are extremely flexible. The small diameter and contoured shape of the acupuncture needle allows it to be inserted easily and painlessly a few millimeters into the skin. Acupuncture affects people differently, leaving some energized while others feel relaxed. Acupuncture needles can also be stimulated with pressure, heat, friction or electromagnetic impulses to further activate a person’s qi. During the first consultation, the practitioner aims to determine the nature of the disharmony in the patient’s mind/body by careful questioning and observation. A detailed understanding is required of the patient’s symptoms, past medical and family history, lifestyle and diet, behavior of all the systems in the body such as digestion and circulation, sleep patterns, and emotional feelings. Diagnosis may also include examination of the tongue for its structure, color and coating and of the pulses at the wrists, which are felt for their quality, rhythm and strength. What the practitioner is looking for is not symptoms in isolation, but rather a pattern into which is woven a total picture of the patient. Having decided on the cause or causes of the problem, the points and appropriate method of treatment are selected according to various rules governing the movement of Qi (“Chee”) in the body. During acupuncture, needles are either inserted for a second or two or left in place for up to 20 to 30 minutes, depending on the effect required. During this time there may be a heavy sensation in the limbs and a pleasant feeling of relaxation. What aspects of illness can might be helped by acupuncture? Acupuncture is perhaps best known for its efficiency in relieving pain. Modern medical research attributes this in part to acupuncture’s power to increase the body’s level of endorphin in the bloodstream. Acupuncture stimulates the body to produce its own morphine-like substance to alleviate pain. Nerve impulses are normalized and balanced because of the interconnection of the acupuncture points and the central nervous systems, thus suppressing pain. To think of acupuncture only in terms of relieving pain is to take too narrow a view of its potential uses, and to overlook its successes in the treatment of organic and stress-related disorders. Acupuncture can affect any disease or disorder as long as the body is functioning and no organ has been destroyed. Obviously it cannot heal a broken bone. Modern surgery is indeed a miracle, offering us skin grafts, plastic joints, and artificial valves and limbs when the originals have been irreparably damaged. However, it is difficult for human beings to find spare parts and even when they are available, the body often rejects them. Acupuncture, on the other hand, works to improve the quality and function of the organs we still have. Experiential evidence points to acupuncture’s ability to alleviate the symptoms common to organic disorders by strengthening the body’s natural resistance and its immune systems. After acupuncture, there is an increase in the levels of white blood cells and increase in the levels of Alpha, Beta, and Gamma Globulins. It is believed that Alpha and Beta Globulins help white blood cells to fight infection. Gamma Globulins are associated with the production of immune antibodies. BuySoma.net is an exceptional store with quality Soma (Carisoprodol) pills, competitive costs and top services that can be ever found online. It’s my third time ordering Soma at the pharmacy and each time is unique. Individual bonuses and discounts make me return, as well as the quality remedy, of course. Herbal medicine has formed the basis of Chinese medicine for probably over 3000 years. Indeed Herbal Medicine could be said to be the oldest and most natural form of medicine in existence. There are examples of animals self medicating with herbs. CHM has developed profoundly from its shamanic roots, and has been well documented in and refined for at least the last 2000 years in China, herbs are called the “1000 forgotten foods” which stresses their use as very effective nutritional support. Each herb has been analysed for it’s taste (sweet, bitter etc), action (which direction the energetic of the herb moves in the body), it’s temperature, and the organs which the herb affects. These aspects of each herb are then used to ascertain their effectiveness for various disorders. When a patient attends a herbal appointment a full case history is taken and a Chinese Medicine diagnosis made. 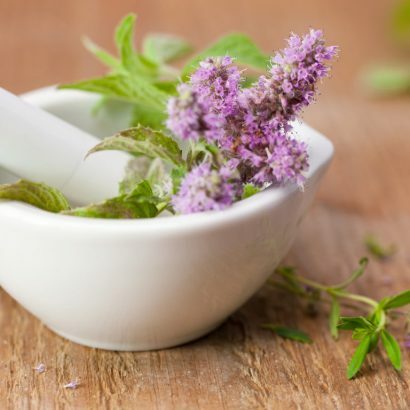 A herbal prescription is then given to deal with the symptoms being experienced, but also to deal with any underlying conditions which will hamper progress. Herbs are then given as either raw ingredients (twigs, leaves, roots etc), as a concentrated powder, or in pill form. Some do taste pretty bad, but most people acclimatise well to the taste quickly. NO animal products or toxic herbs are used and herbs are checked regularly by Kew gardens for authenticity.